Application management monitoring is one of the popular and the critical tasks carried by the IT departments in several organizations. The invent of latest technology tools which monitor and track the performance of the applications made their jobs easy. However, the effectiveness of the program lies in choosing the best tool. One has to check the features and the available options in the tool, so as to make sure that it delivers substantial results and its presence could impact the operations in an organization in a much better way. Below are some features which make a good application monitoring service. Have a look and choose the one which best matches your business needs and requirements. If you are using a software to monitor the performance of an application, then it is always better to look for the following. That particular software should look at the performance of the CPU, it should monitor its usage, memory usage, response time, etc., for each and every system included in the network. If the monitoring system is confined to one particular system in the organization then it becomes difficult for the business owners to check the monitoring status. So, if it is easily accessible from any of the systems, the people who are authorized and the people who are responsible for monitoring related things can check them from their own systems. Also make sure that the software of service you are using to monitor your applications is sending you the instant notifications through any of the communication means like email, SNS,dashboards, etc., so that you can make the necessary corrections without any delay. Moreover, the service should be capable to provide limited access only to the authorized users. Finally the ability to report. A detailed report about the behavior or performance of the application at various times gives the organizations a clear picture of what exactly is happening which further helps them to identify potential trends and issues. 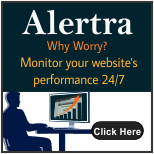 Look for the above mentioned features to get a monitoring service which is suitable for your business needs.